While I have gotten a few professional manicures in my life, most people rely on painting their nails themselves when they’re looking for a bit of color. 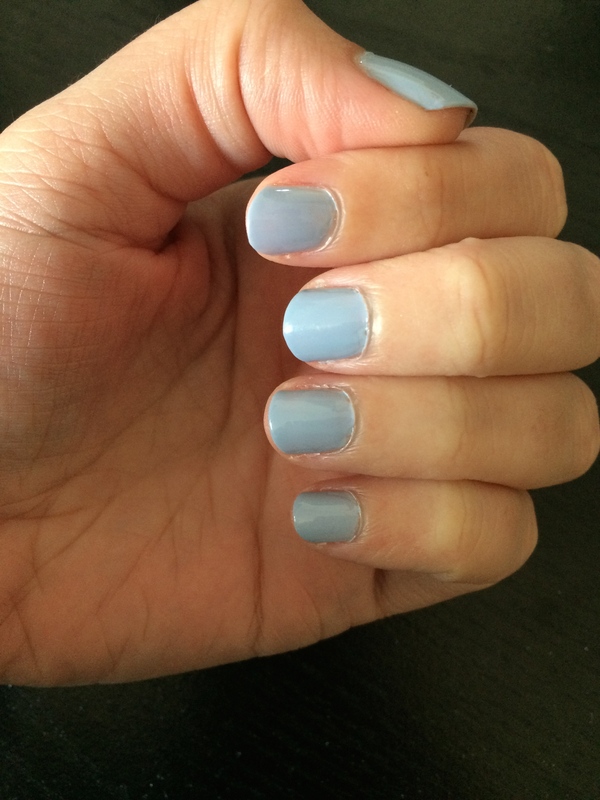 As a relative noob in nail painting (I only started doing it regularly about 6 months ago) I have some tips to share on how I get my home manicure to look so good. Read on for my nail advice! Top Coat: I’m a big fan of top coats to increase the look of shine on painted nails. The #1 compliment I get on my nails is on how shiny they look. I always tell those people that it isn’t a special trick. 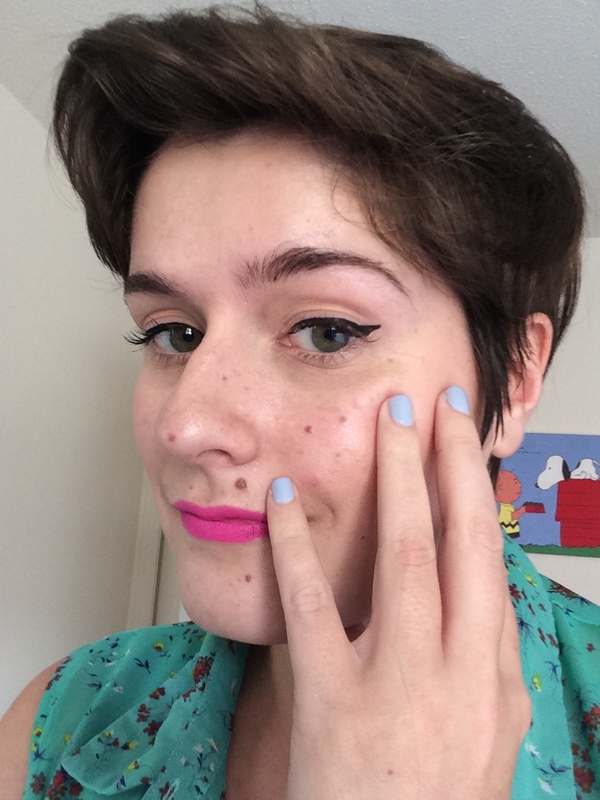 The easiest way to get that look is to use a nice top coat! I use a Sally Hansen quick drying top coat to the do the job. It was pretty cheap and it helps my nails dry more quickly. I also like base coats if you’re prone to nail staining with darker colors. Wrap the Tips: This is a good tip (HA) that I heard from several manicure blogs. Wrapping the tips is when you run the polish brush over the tips of your nails. It effectively seals the polish and prevents it from chipping as much. 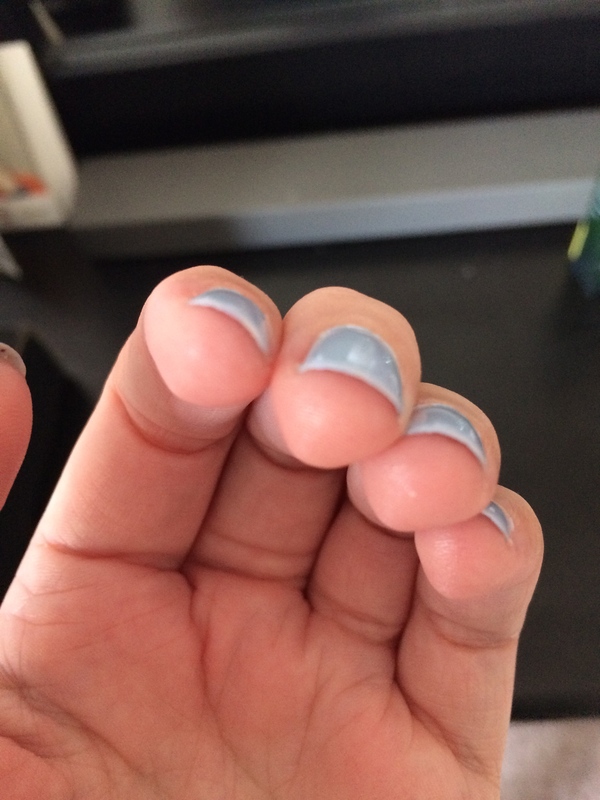 I do this because I am pretty rough with using my nails. I recommend going easy on how much polish is on the brush for this. If you get it on your skin don’t worry; read on for some cleanup tips. 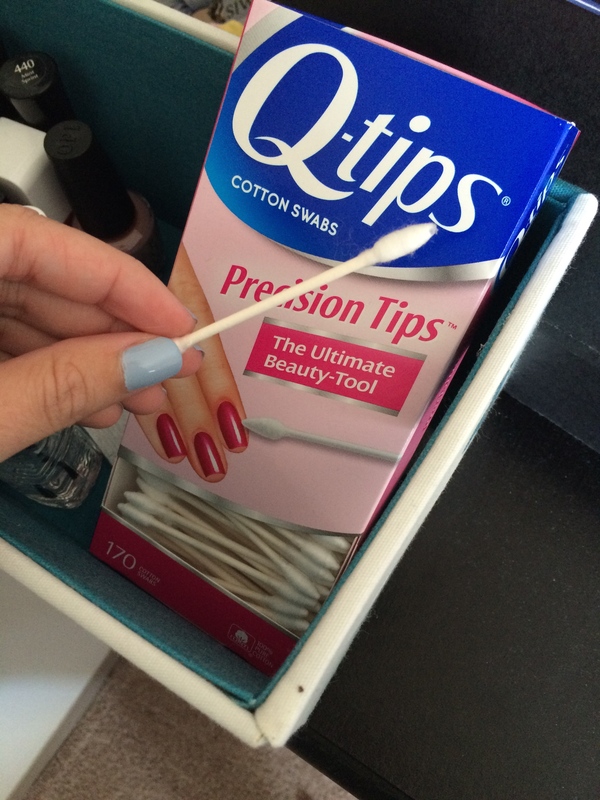 Q-Tips: Specifically I would recommend the precision tip cotton buds. They are a lifesaver. I keep them around to fix errant mascara and wipe up polish mistakes. They work well on wet polish when you need to quickly remove it from the skin and dipped in nail polish remover for more stubborn dried polish. Distract Yourself: I know this one sounds counterintuitive, but hear me out. When I paint my nails I like a hands-free distraction. I usually use Let’s Play videos on youtube because they are about 10 minutes long. If you’re worried about doing double coats when the paint is still wet, just start a video or show and wait about 7 to 10 minutes after you painted, or until the video is over. Start your next coat when you start the next video! Nighttime Shower: Try taking an evening shower at least 4 hours after you paint the nails. It will easily wash away any excess polish dried on your skin and make your botched job look awesome! I do this quite often. Those are my 5 tips to get a better home manicure. Let me know your tricks in the comments below and don’t forget to follow me on social media in the side bar! Check out my finished nails below. This entry was posted in How-To, Nails and tagged 5 ways to get perfect painted nails, home manicure, nail polish tips, perfect painted nails. Bookmark the permalink. I agree! And it is so fun to look at!